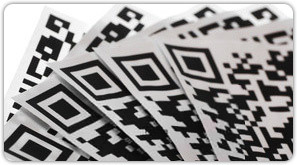 What are QR codes mobile barcodes quick response code and 2D barcodes labels? QR or Quick Response Codes are a type of two-dimensional barcode that can be read using smartphones and dedicated QR reading devices, that link directly to text, emails, websites, phone numbers and more. You may have even got to this site by scanning a QR code. The barcode is capable of storing more information than a conventional barcode. It is developed by Denso-Wave in Japan and is one of the more popular 2-dimensional barcodes. Another reason for this barcode popularity is because it is adopted by many mobile or smartphone applications for linking physical world objects to a web URL (Uniform Resource Locator). QR codes can be used in Magazines, business cards or any moving objects where users want to know more information about it. Users with a camera phone equipped with the correct reader application can scan the image of the QR Code to display text, contact information, connect to a wireless network, or open a web page in the phone’s browser. This act of linking from physical world objects is known as a hardlink or physical world hyperlinks. Mobile Operating Systems like Google’s Android, Nokia’s Symbian are currently supporting this QR Codes. Mobile barcodes are two-dimensional barcodes that can be read by any smartphone with a 2D barcode application/reader (mobile app). These mobile barcodes, when scanned, can direct your customers to take immediate action. The action you want your customers to take will depend on your marketing strategy. What are you trying to drive? Do you want them to make an online purchase? 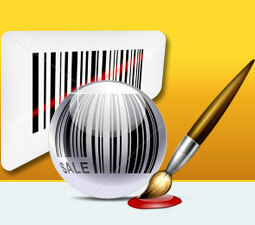 2D barcodes mobilize your brand and give your consumers instant access to your hot promotions. Their potential return far outweighs the low cost of applying them. Mobile barcodes give marketers the ability to adapt and change their marketing campaigns more readily due to the integrated tracking capabilities. By tracking prospects that route to landing pages or other medians, the marketer is able to collect additional intelligence that will enable adjustments to the multi-channel campaign and increase ROI. Mobile barcodes simply provide hyperlink for a mobile device that can link to any site video and information that you want it to. Mobile bar codes engage the customers to find out more information about your business in a fun way. QR code make and print advertising interactive and can be linked to target rich environment where advertiser can use multiple barcode tied to different campaigns or destinations to engage their customers multiple times.